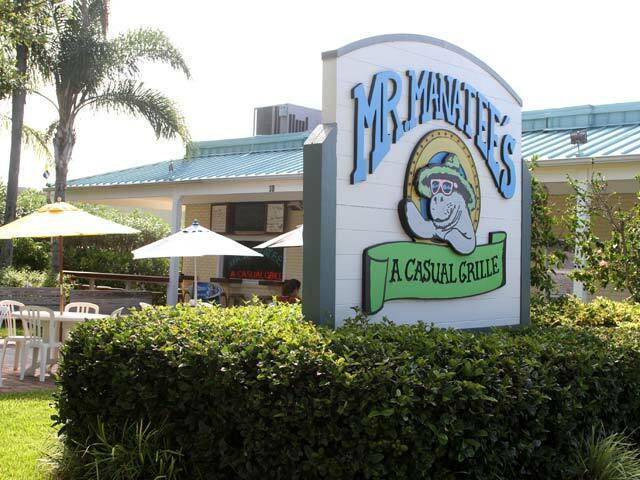 Mr. Manatees’ Casual Grille offers a huge menu for both seafood and non-seafood lovers. Select from our long list of starters, salads, chowders and gumbos, sandwiches, burgers and baskets, but don’t forget about our raw bar and desserts. Have our bartender mix you up a tropical concoction or choose from our wine list as you sit back, relax and enjoy the island atmosphere. Don’t miss our specials for the week and say “hello” to Woodrow, the resident manatee, on your way in and out!